Sony Xperia was previously known globally as Sony Ericsson before re-branding in 2012, which now embraces Xperia XZ, X Compact, XA Ultra, X Performance, E5, Z5, Z4, Z3, etc. For a couple of years, it was many phone users’ favorite smartphone manufacturer. Although currently iPhone and Samsung dominate the mobile phone market, I’d wager some of your readers are still on team Sony, lusting after their hardware. 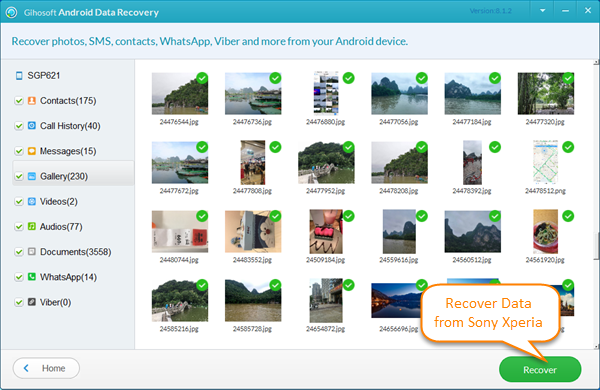 If that’s the case, you might encounter the “Data Recovery” issue when your Sony xperia mobile files like photos, videos, music, SMS and contacts lost for uncertain factors. If you want to get the data back, you really should check out the method below for Sony Xperia Recovery. Unintentional deletion of your files while previewing or erasing unwanted files on the mobile phone. Format/root Xperia Android phone for some reasons. Improper removal of memory card off the Sony Xperia smartphone when read or write process is going on. Hit on the “restore” option to factory reset the Android phone without backup. No matter which case above you’re going through, you don’t have to worry, cause it’s not a big deal if you use Gihosoft Android Data Recovery freeware to get back your lost files. What can this Sony data recovery program literally do for you? It is capable of retrieving contacts, text messages, call log, photos, audios, videos, WhatsApp/Viber messages and word document from Android phones including Sony Xperia, Samsung, LG, Google Nexus, HTC, Motorola, Huawei and OnePlus. More importantly, it’s free to restore some files without any quality loss. Tick on the files like photos, videos, music, text messages or contacts you want to recover and click “Next” to proceed. In order to successfully connect Sony Xperia with PC, you should toggle on the debugging mode on the phone, and give the software authority to access your phone by tapping “Yes” on the pop-up messages. When the scanning process was finished, you can preview the files and mark those you want to retrieve. Afterwards, move on to recover your precious files. 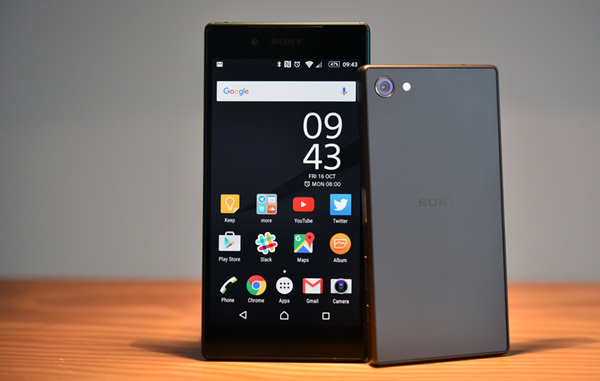 Stop using the Sony Xperia till you’ve completely retrieved all your lost data. Never save any of your restored files on the same phone memory card in case of data recovery failure. Regularly back up your files on Sony Xperia with third-party tool like Gihosoft Mobile Transfer.